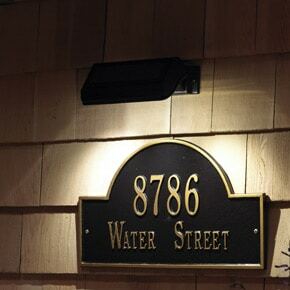 Add character to your home with easy to read, 8 inch copper address numbers! 100% pure copper house numbers feature a Patina finish, which gives a natural aged look to the copper, as opposed to other copper house numbers that only have a painted coating. 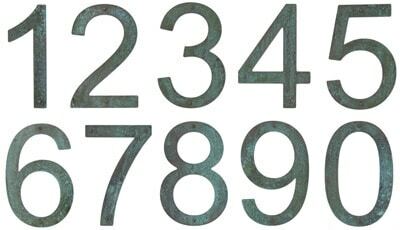 Watch the Patina finish on your copper house numbers naturally age and become even more beautiful over time. 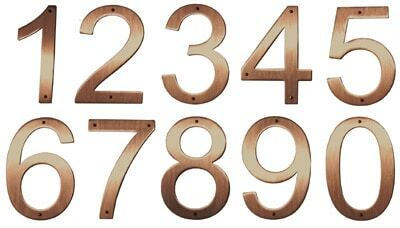 8 inch copper house numbers come will all copper mounting hardware required for installation. 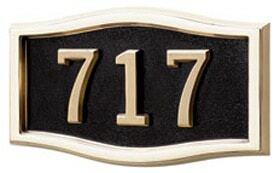 We also carry 8 inch brushed satin address numbers. 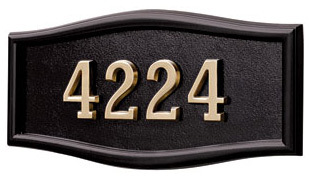 Choose to mount these 8 inch copper address numbers directly to your house or on a standoff for a 3-D effect. Don’t forget about the optional solar lamp that will make it easy for visitors to see your address at night. The solar lamp turns on at dusk and off at dawn, lasting up to 14 hours at a time. 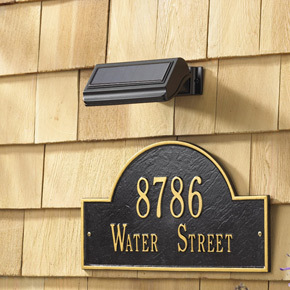 Shop The MailboxWorks’ entire line of house address numbers. 0's, 2's, 3's, 6's, 8's, 9's 8" 5.25"